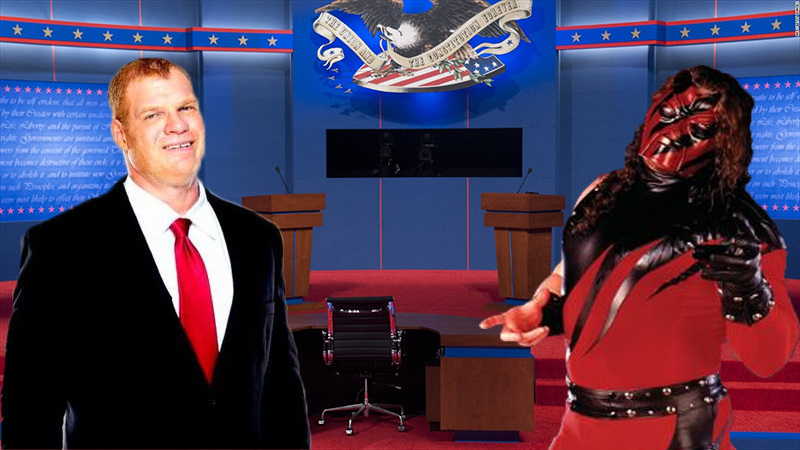 Headlies: Kane To Face Impostor Kane In Mayoral Election - WrestleCrap - The Very Worst of Pro Wrestling! Knox County, TN – The political world was shocked today when WWE Superstar Kane’s opponent for Knox County mayor was revealed to be none other than Impostor Kane. The fake Kane, last seen being unmasked and thrown out of a WWE event in the mid 2000’s, has been quietly campaigning in the area for several months. Hours of door knocking, phone calling, and eating terrible dinners at voters’ homes has led to a primary win of hi own. He will finally get his revenge on Kane in the mayoral battle of a lifetime. Suddenly, pyrotechnics erupted around the stage and eerie organ music played. Fake Kane lumbered to the ring in the classic Big Red Machine mask and outfit. The two stood face to face before Fake Kane slowly raised his hands before dropping them and setting off more pyro. The crowd clapped politely and talked among themselves. The two will face off in several high-profile debates. There will be no count-outs, no disqualifications, and the audience must remain silent. Voting will take place on August 2nd inside of a Hell In A Cell. 7 Responses to "Headlies: Kane To Face Impostor Kane In Mayoral Election"
I like the way Dale Quirk thinks. Probably my favorite Headlie ever. 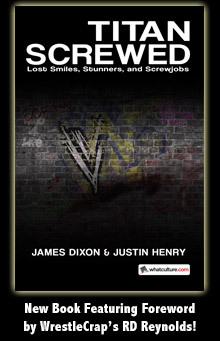 RD, you are over like rover along with the book and website. Congrats sir for all of your hard work. Your site may be on overload for awhile. If Imposter Kane is unsuccessful in his political bid, he should return to the ring and form a 3-man tag team with his brother Fake Undertaker and Fake NwO Sting. P.S. I LOVE Imposter Kane’s hair on the main page. So full and beautiful. Rockin’ like an ’80’s hair metal band guitarist! I think the Imposter Kane and May 19 storyline should be inducted here. What Knox county needs isn’t NERDS. They need a good Brother.